Some of the most commonly asked questions on EuropeanRailGuide.com are "how long does it take from a to b? ", "how much does it cost to go from a to b? ", "how far is it between a and b?". 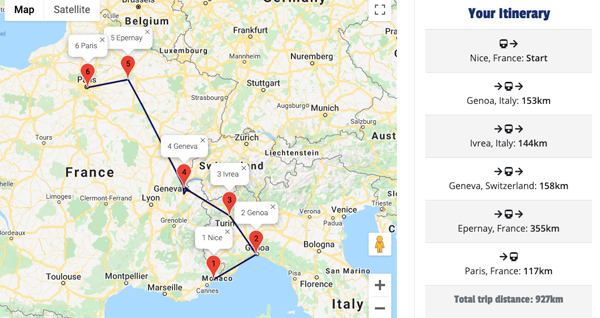 So, with this in mind we're creating a database of the most common journeys through Europe with information about distances, durations, costs, where to buy tickets and on top of this we'll also be showing you the journey on a map!